Rabat- Police in Marrakech have opened an investigation into a French national for wearing the Moroccan flag in a video. 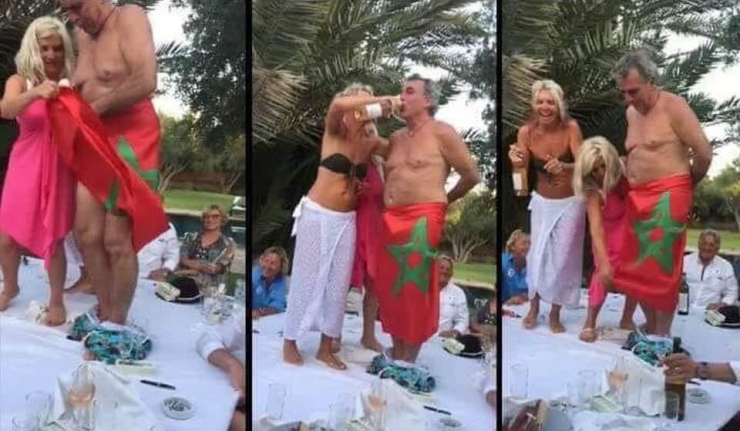 The 38-second-long footage shows the 61-year-old French national wearing nothing but the Moroccan flag draped around his waist while drinking alcohol and dancing on a table in front of guests. The man reportedly owns a bar and restaurant in Guliz neighborhood in Marrakech. The video has offended Moroccan citizens on social media and led to the opening of an investigation on Tuesday, September 4, to determine the circumstances of and reasons for the act, reported Morocco’s General Directorate for National Security (DGSN).